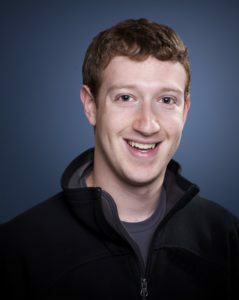 Recently, the social networking accounts of the Facebook founder, Mark Zuckerberg, came under a hacking attack. The group of hackers representing OurMine has claimed that the Pinterest and Twitter accounts of Mark Zuckerberg have been compromised. Purportedly, OurMine comprises of a group of teenagers based in Saudi Arabia, and they claimed the responsibility for the hacking incident. It was only last month that the pop star Katy Perry’s social media account was hacked. Our Mine gained control of some of the social media accounts of Mark Zuckerberg, the founder of Facebook. However, his Facebook profile was not compromised in the hacking attack. There have been indications that the hacking group also tried to gain control of Zuckerberg’s Instagram account. Interestingly, this social networking site is owned by Zuckerberg himself. 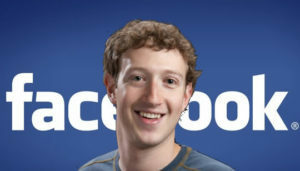 Facebook bought over the smartphone photo sharing app in the year 2012 for a price of USD 1 billion. The site’s security was strong enough to prevent the unauthorized access. 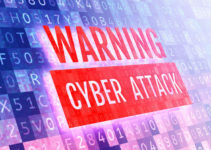 The hacking group used his Twitter account to announce that they got hold of his password through the recent data breach in which LinkedIn details of over 164 million users were stolen. A big dump of the stolen data was posted online in the month of May. 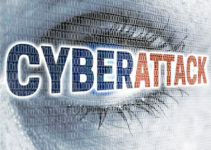 The data breach provided an opportunity for the hackers to try out their hacking skills on real-world password data. In the meanwhile, LinkedIn has said that it would have the stolen passwords invalidated and requested users to reset their passwords as a precaution. The tweet by OurMine was soon removed, and their Twitter account which had about 40,000 followers, was suspended. Before the hacking incident, the Twitter and Pinterest accounts of Zuckerberg have not been very active for a long time now. His lasts posts on Twitter were sometime in January 2012. Though the hacking incident refused to provide clarity as to whether this breach was related to the stolen LinkedIn accounts, the timing of the attack and the message that the hackers posted on Zuckerberg’s Twitter account reference the stolen data. The hackers posted what they claimed was Zuckerberg’s password in the message. It is being presumed that Zuckerberg was using the same password for many of his accounts that made the hacking easier. Password re-usage is a common error that most web users of today give into when flummoxed with having and signing into many service and social media accounts. In this connection, Mathew Warren a security expert at the Deakin University recommends that individuals use a mix of lower and uppercase letters, as well as punctuation marks such as question marks and commas. A good password should have a length of at least eight characters and should also have numbers interspersed. It has also been found out that the most popular passwords that are in use include the number combination “123456’ and the word “password” itself.